Hofbrau beer always makes me think of my late father-in-law. He grew up in Germany and immigrated here in his late teens. 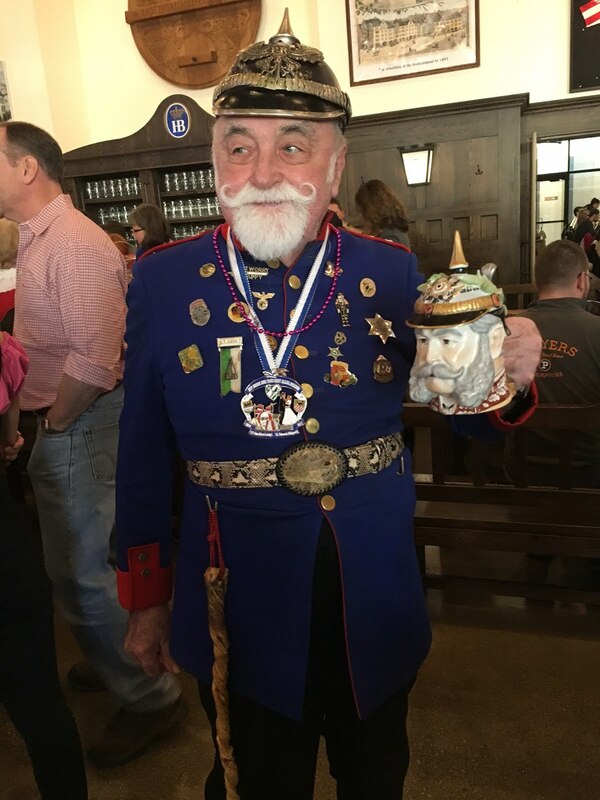 Even after he'd been here for decades he still spoke with a heavy accent. And he liked his German beer. 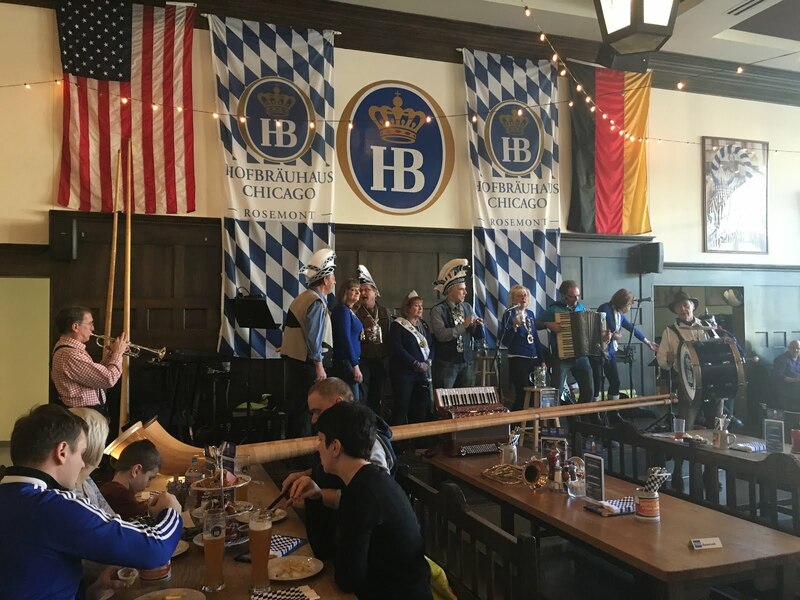 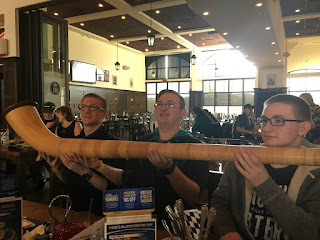 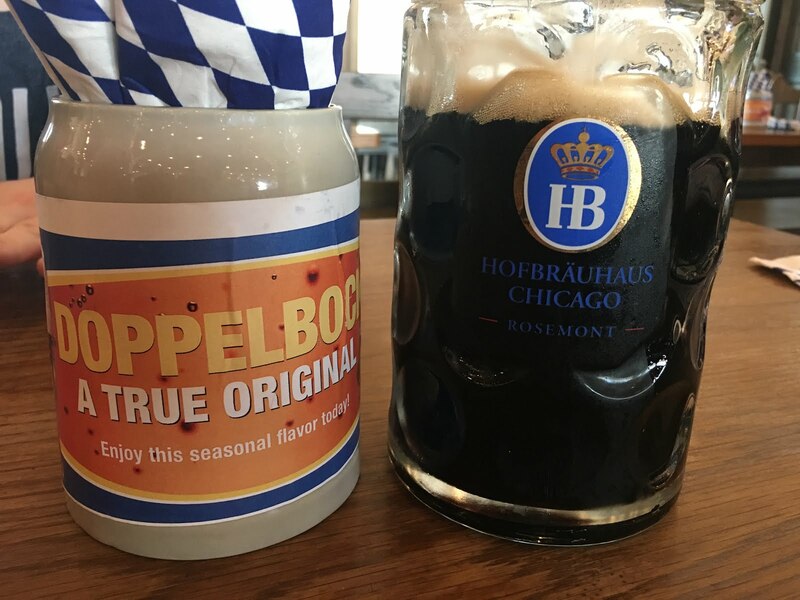 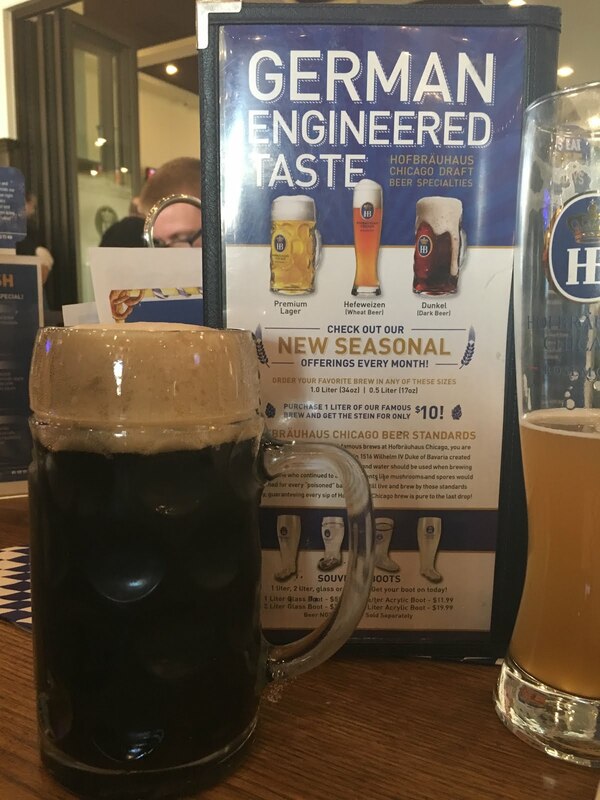 It wasn't always easy to find Hofbrau in the Chicago area. I remember in the late 1980's making trips to the west suburbs - about a 45-minute drive to pick it up from a German deli and restaurant called the Heidelberg, which has since gone out of business. When Hofbrauhaus opened, it was so nice to get a stein of it on tap, rather than from a bottle. 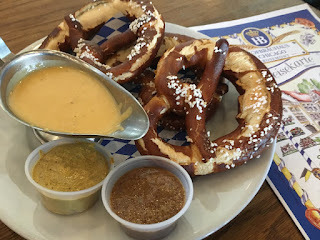 My husband and I have been there several times, but the kids had never experienced it. 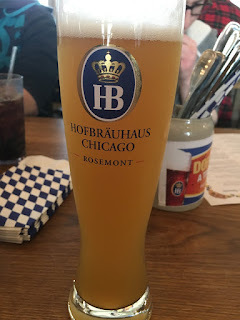 So, when we were heading up to Rosemont for the outdoor show, we decided to hop over there lunch. 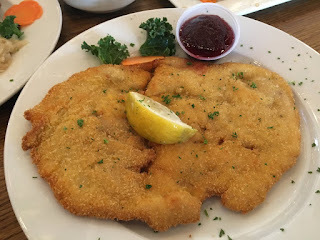 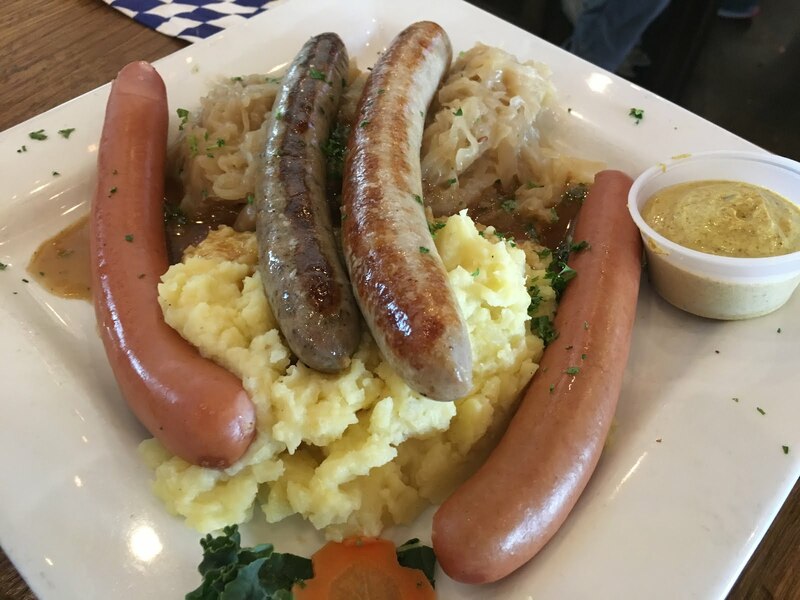 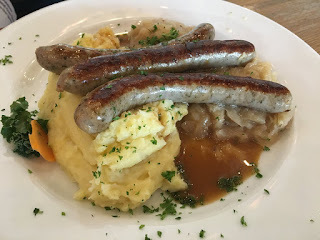 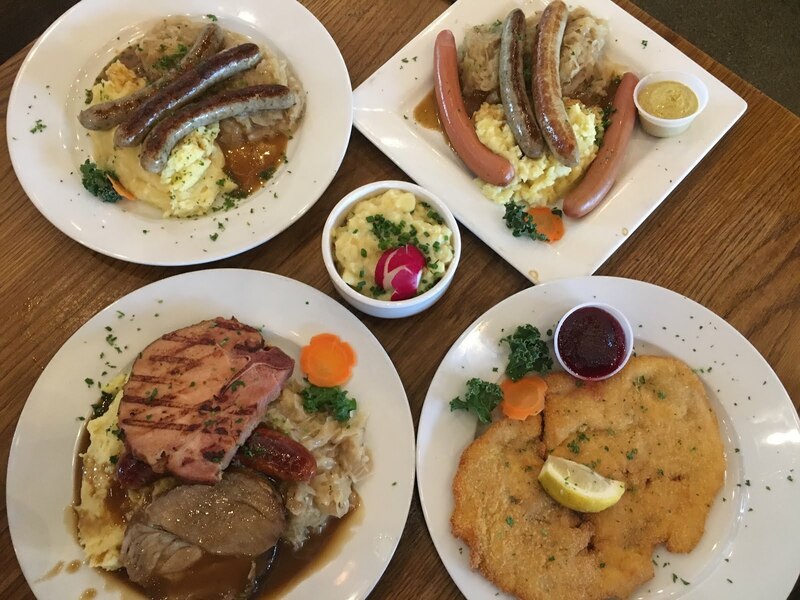 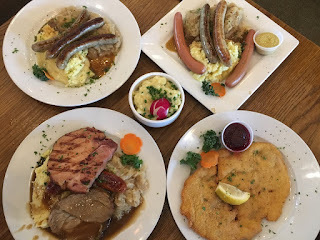 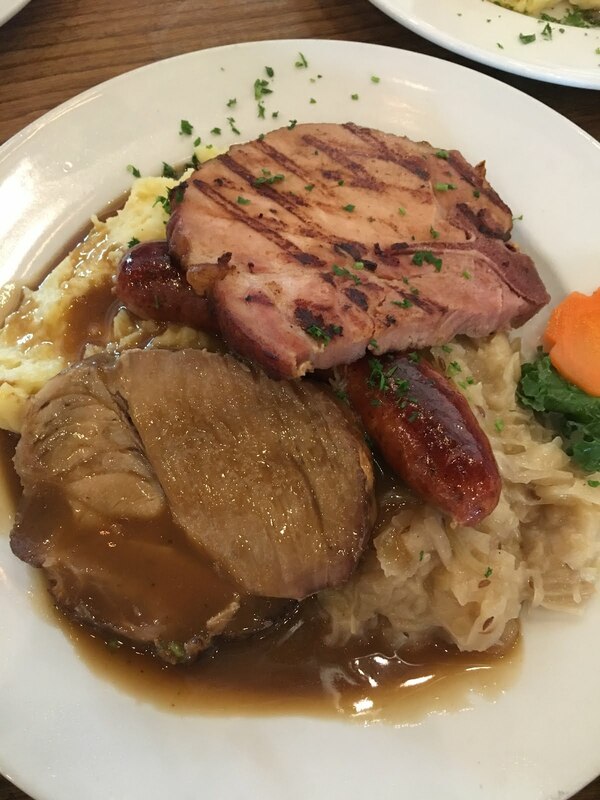 We ordered several different plates and enjoyed a family-style lunch with sausages and pork and my favorite German dish: weiner schnitzel. 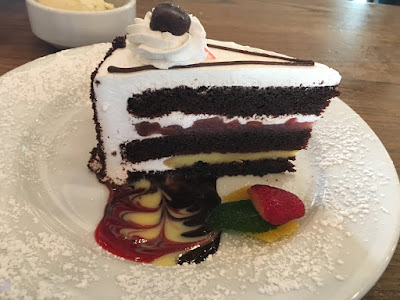 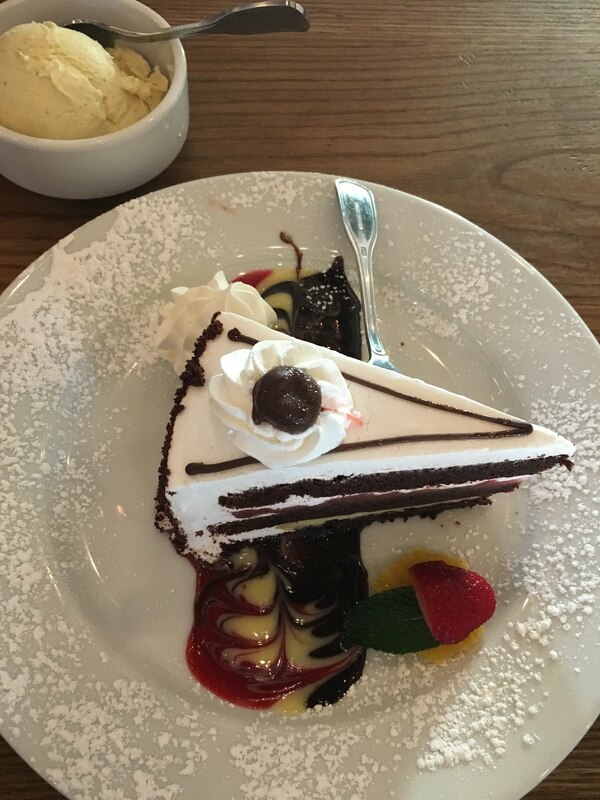 We enjoyed the entertainment and the Black Forest Cake for dessert - and a little beer, too.